Terry Pratchett's incredible Discworld, floating through space on the backs of four elephants standing on a giant turtle, supports some of the most popular characters ever imagined in the worlds of fantasy fiction. But the Discworld people are real, even if their world is a little... fantastic. Readers have their favourites and debates rage as to exactly how they really look. Now they're here, warts (except in the case of Granny Weatherwax) and all. 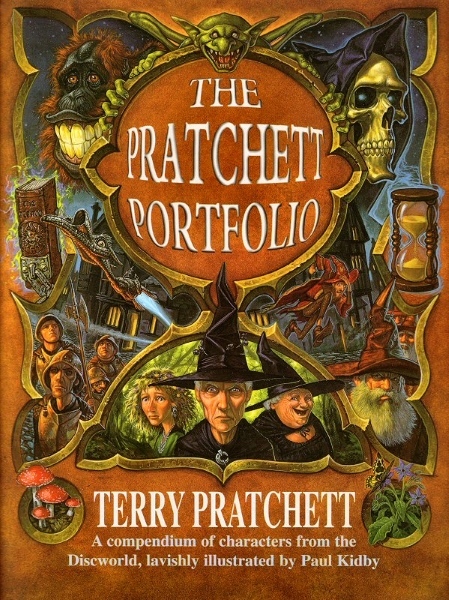 Terry Pratchett and artist Paul Kidby have got together to imagine everyone, from Rincewind the incompetent wizard to Greebo the rather human cat, in sketches and fabulous full-colour pages. These are the Discworld people - REAL!